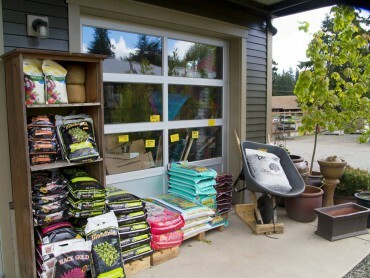 If you can’t find what you’re looking for at Bay Hay and Feed on Bainbridge Island, the chances are you don’t need it. And, after inquiring, if it’s not on hand, just ask — and it’s possible it will soon be carried in stock. 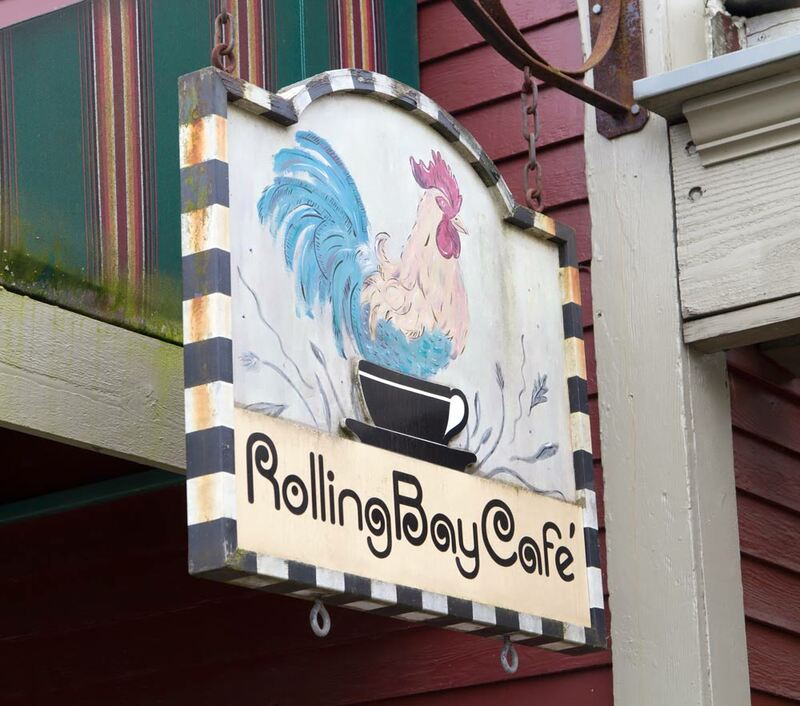 In 1979, Howard Block and Ce-Ann Parker purchased a piece of Bainbridge Island history. They bought acreage and a building built in 1912 in Rolling Bay by Lucas Rodal that was the IGA Store for many years. The post office was also housed in the building and remains there today. Block and Parker’s business began as Bay Hay and Feed. They remember sitting on the top of the hay bales and feed bags to stay warm and then quickly climbing down to help when customers came in. From the very beginning, Bay Hay was all about community. Block and Parker lived within a short walk down the road and still do. There is also a home on the Bay Hay property. Downstairs is storage and classroom space and upstairs provides an affordable housing rental space. A huge garden and a chicken coop provide veggies and eggs to Block and Parker and to their employees. They also lease a piece of the land at $1 a year to a friend to grow veggies. Visitors to Bay Hay are welcome to “roam freely,” walk around and explore the property. The veggie and fruit gardens are ever-changing, and seeing them in person is a great way to learn. Classes on how to raise chickens are conducted on site. People can see firsthand what a chicken house and fenced pen looks like. They can also meet and see the chickens and what Block calls “the teenager chickens” up-close. 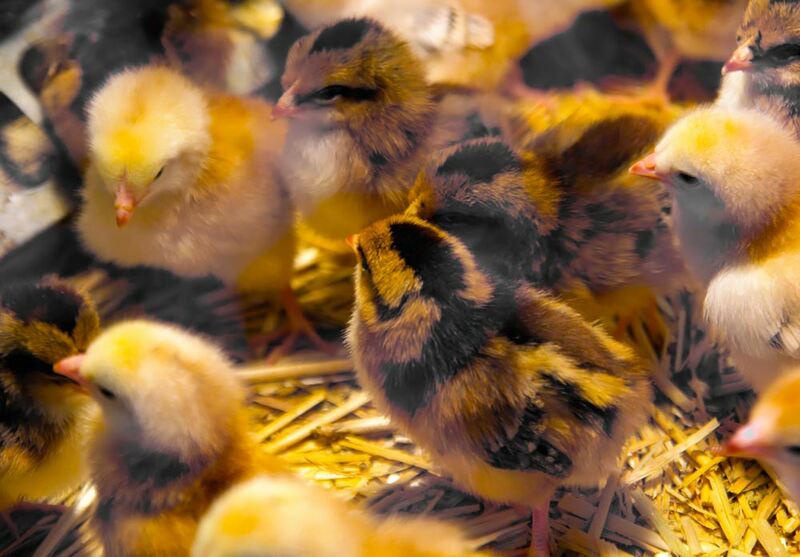 Every spring, it’s charming to walk into the feed store and hear the peeping of baby chicks, but purchasing and raising partly grown “teenager chickens” sometimes is not as daunting a task for first-time poultry growers. 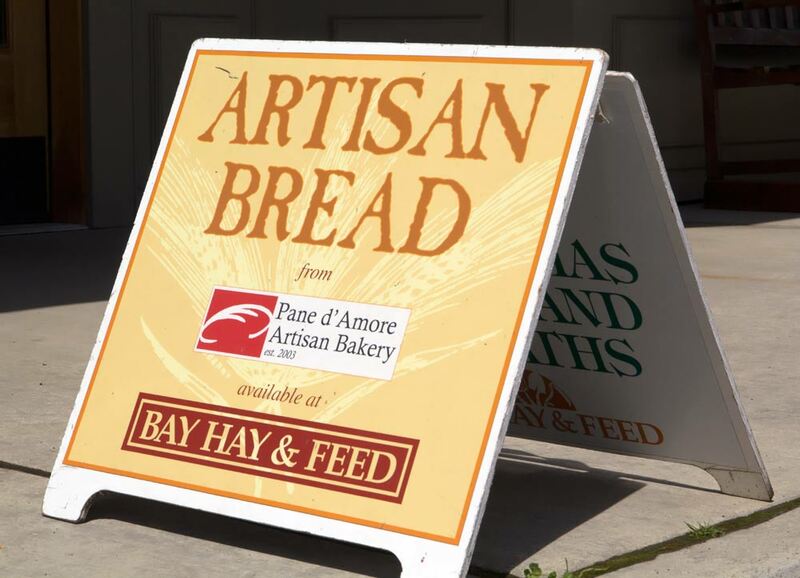 Bay Hay and Feed has grown and changed through the years but it’s remained an integral part of the community. It’s always striven to meet the needs of the local population including neighbors, residents and those who travel on and off the island. The original employees were only Block and Parker. Over time, the nursery area was added and the staff has grown from six employees to 34 (some part-time, some full-time). 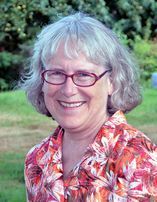 Els Heyne, a founding member of Sustainable Bainbridge, was hired several years ago as managing director, with part of her responsibilities involving managing and coordinating the sustainable programs and public outreach events. All full-time employees have healthcare benefits and new employees coming into the business make $12 an hour, which is well above minimum wage. The owners of Bay Hay definitely walk their talk. Their lives have been spent satisfying the needs of their customers and the local community and providing their employees with a great work environment. The most recent addition to Bay Hay and Feed was a new building to house the nursery portion of the business. It was constructed using local contractors and suppliers. The roof has solar panels. All lighting in the new and old buildings is LED and all water from parking lots and roofs is channeled into a rain garden and bioswale to clean stormwater as it soaks into the ground, replenishing the aquifer. Groundbreaking for the new building was on the 100-year anniversary of the original building. The new building was constructed during a downturn in the economy, but Block and Parker believed strongly in the business and in providing continued work and wages for their employees. “We took money out of our own savings to begin the construction and to keep the business going and not lay off a single employee,” Block says. With the new building came even more opportunities to expand the business and in doing so, to meet the current and future needs of their customers. The Bay Hay and Feed building already housed — and still houses — not only the Block and Parker business, but also the Rolling Bay Post Office and the Rolling Bay Café. The original Bay Hay space has been repurposed and the product lines have been expanded, plus others have been added. The business is divided into departments, with one or more employees in charge of each. 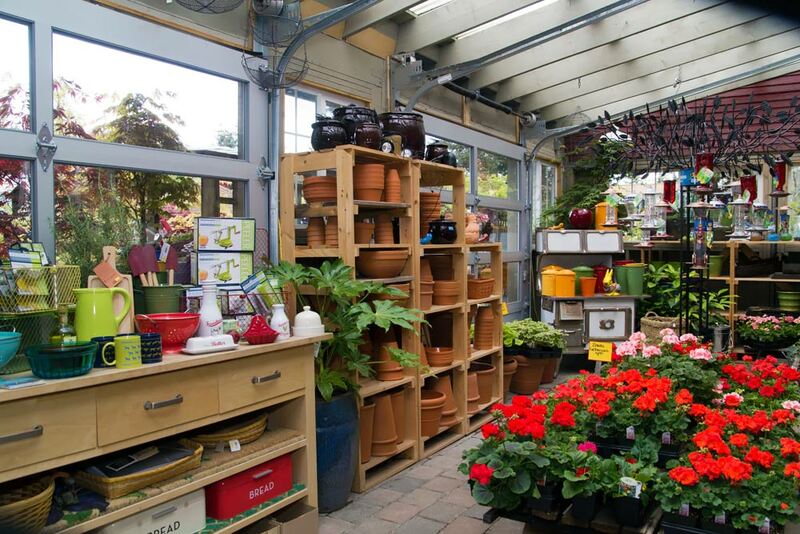 The nursery still offers a myriad of temptations. 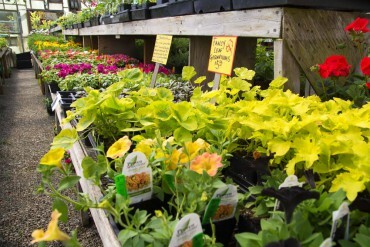 Plants are arranged by zones for their various growing conditions. 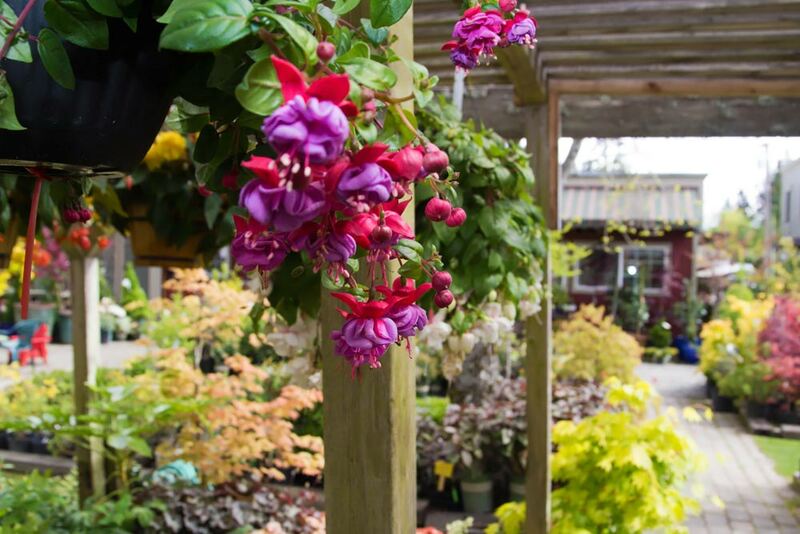 Just a few examples are: miniature conifers, fruits from small berries to trees, ever-changing seasonal veggies and annual plants, ground covers, perennials, shrubs, trees and houseplants, to name a few. The plants in containers are grouped together so customers can see how they might group them in their own gardens. The nursery building has books, décor, fertilizer, potting mixes, artwork, containers and tools; there are offices upstairs. There’s much more that changes seasonally. A person could literally spend hours in just this building. 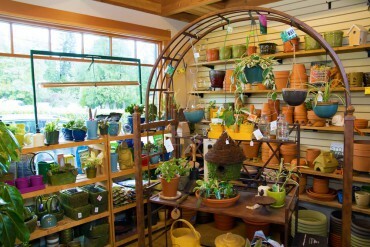 Bay Hay features organic and non-GMO products and plants. The extensive seed selection includes organic, heritage and heirloom seeds. Also available are bulbs and tubers in spring and fall at the right planting times. 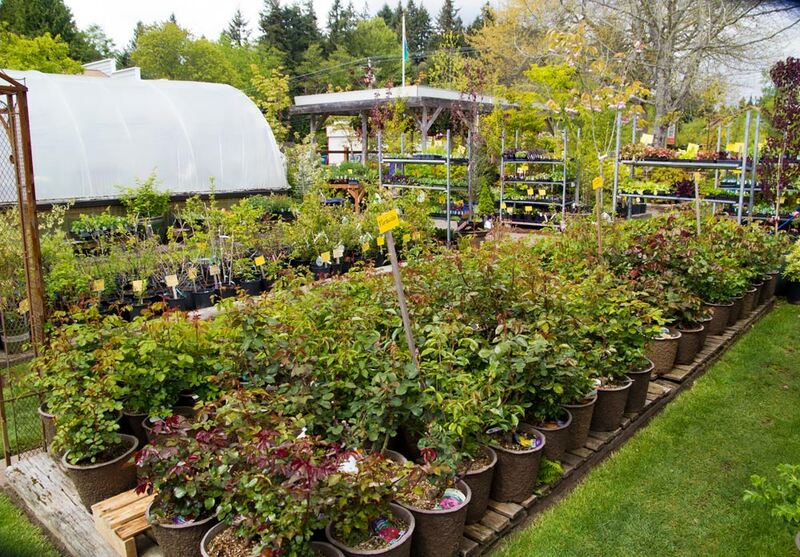 Stock in the nursery is never sprayed with pesticides or herbicides. The feed (including hay) for the store is primarily grown in western regions and is organic. Bay Hay has worked with its producers to ensure that feed is organic but it’s been a long process. Not because growers don’t want to produce organically but because there are a lot of hoops to jump through to legally do so and the process doesn’t happen overnight. Block has a motto though. 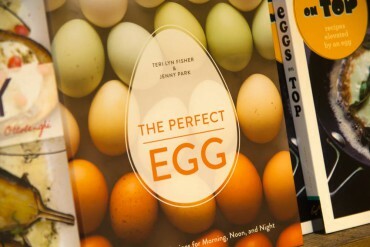 “If you ask continually for organic and sustainable products, you eventually get it. 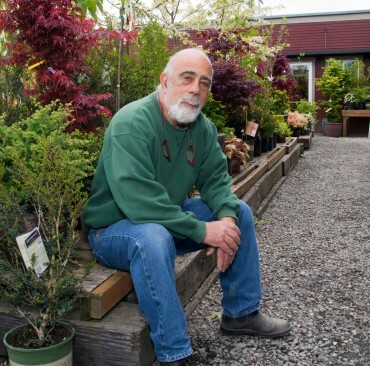 Sometimes it takes 25 years,” he says. Bay Hay is the only place on Bainbridge Island that sells propane. Propane is used for heating many of the homes and is used in farming on the island. It is also a sustainable product. “We also cut fencing and wood for small projects, rather than selling customers more than they would need to use,” Block says. 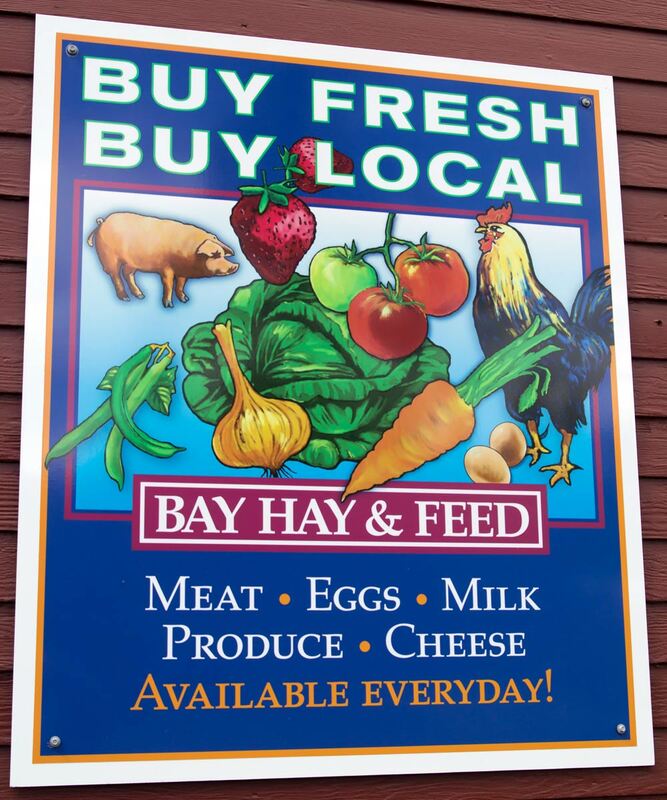 Bay Hay continuously works on sustainability with vendors. One craftsman from Puyallup sells cedar furniture each year. “We’ve been doing business with him for 25 years,” Block says. But making and selling cedar furniture is quite seasonal. “What do you do with all the cedar scraps? We’ll buy them from you as kindling,” Block told the craftsman. So now the craftsman can make money by supplying kindling and have a business that sustains him all year long. To list everything available in this building would take up numerous pages. Each of the original areas has been enlarged. The clothing line has been vastly expanded and if you’re looking for a gift, from baby showers to workwear, you’ll find it here. The ever-popular and ever-growing Bay Hay logo wear, with critters marching in lines on the front of the shirt, fills up a whole section of the building. Every color in the rainbow and then some is represented. Bay Hay actually tries to stock one of each critter so no one goes away without a logo wear shirt. The Bay Hay logo items now include coffee cups, T-shirts, sweatshirts, even maternity tops in pink or blue. Levi’s products are one of the most popular additions. 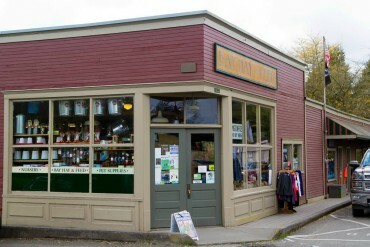 Bay Hay also carries a huge line of socks, shoes, boots, gloves and a wide array of clothing for men, women and children. All items are of quality, almost always American made and range from casual and hiking, to sporting and everyday wear. Hats and scarves are also hot items in stock. Another area is filled to the brim with wonderfully tempting gifts for babies and children. Customers will find toys, books, clothing, stuffed animals, collectible miniature critters and retro (yet child-safe) toy items. 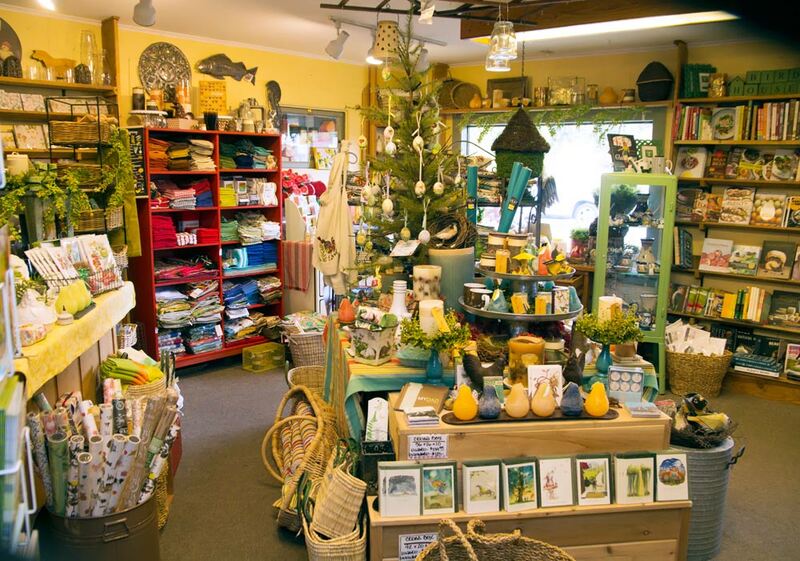 Several steps away from this section is an appealing room filled to the brim with gift wrap, cards, decorative table cloths, cloth napkins, dish towels, linens, paper products for parties and everyday use and all kinds of “grab and go” gift ideas. Staff at Bay Hay will even gift wrap your purchases. 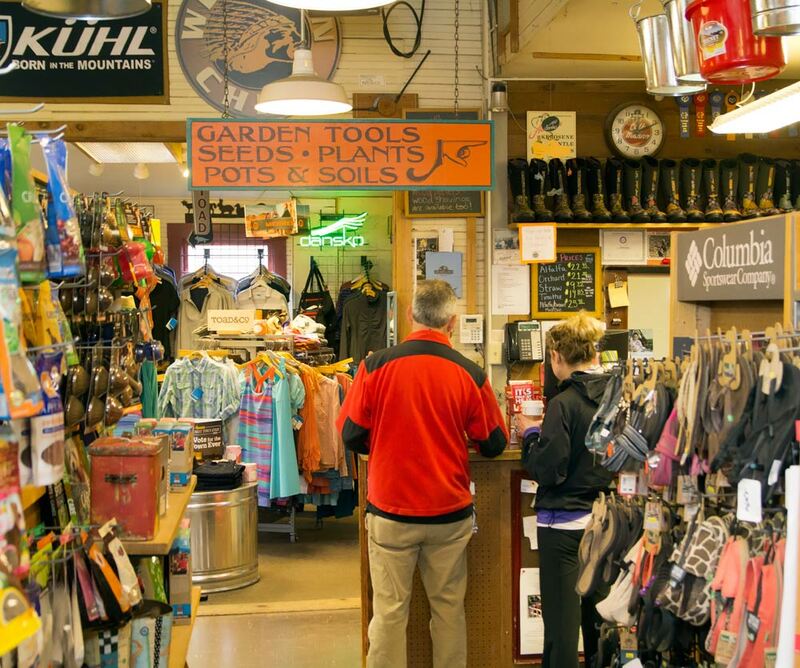 Another area offers every imaginable item for your canine or feline family member. They haven’t forgotten supplies for rabbits, cavies, hamsters and other small pets either. 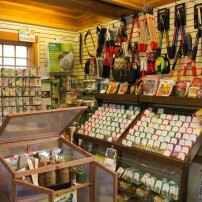 Food and healthcare products for furry friends are also in stock. 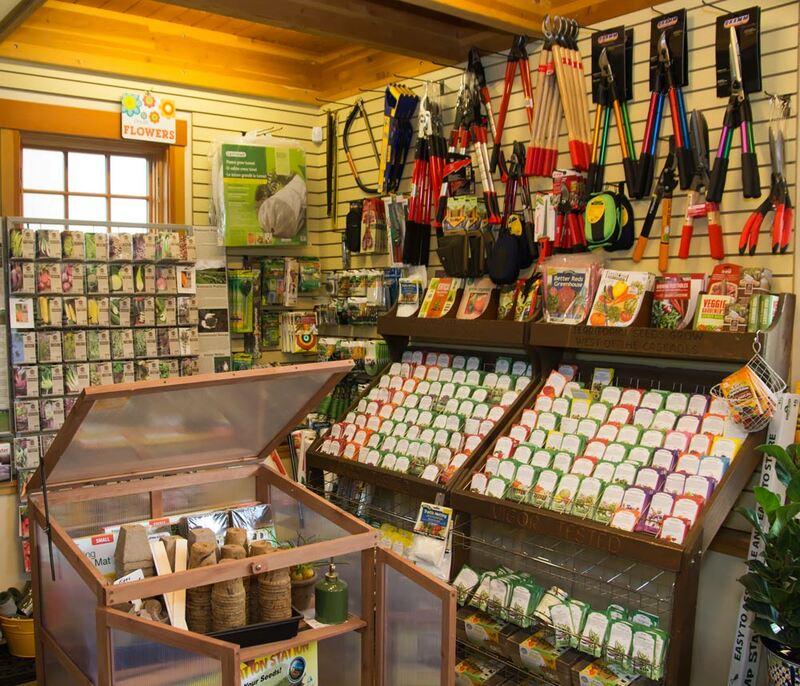 In spring this part of the store is often accompanied by the sweet chirpings of baby chicks waiting to go home with customers who want to start raising poultry. Sustainable food is now on offer. Heyne heard that Sound Food was looking for a location. Bay Hay and Sound Food partnered for the first year and then Carolyn Goodwin, who was working as a volunteer, was hired into a paid position to manage this section of the store. It started with a shelf and a refrigerator/freezer and now has one whole wall of refrigeration units carrying eggs, milk, meat, salad greens, vegetables, fruits, cider and other offerings. 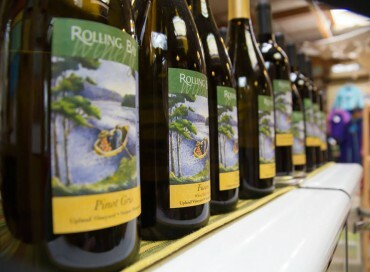 The products are mostly from the island and Kitsap Peninsula, with a few from Jefferson County. The other two walls hold shelves filled with vinegars, bread, honey, salad dressings, preserves and other value-added temptations. This section came about to help meet the needs of local farmers and producers whose only venue was at local farmers markets or restaurants. This additional means to get their products out to the public gave them a way to expand their businesses. 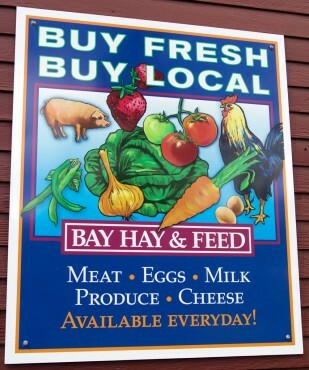 Most of Bay Hay’s employees live on Bainbridge or in North Kitsap and many walk, bike or ride public transit to work. The underlying theme for Bay Hay and Feed is intensely local and sustainable. Block says the Heyne, the sustainability director, focuses on “what can we do for the community.” He adds that all their employees feel the same way. In fact, some of the employees have been with Bay Hay for over 20 years. The business is very active in supporting the local community activities, fundraising and local projects. The website includes a quite extensive list of all giving and sharing undertaken by Bay Hay. 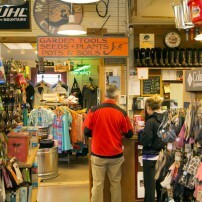 Every first Saturday of the month, April through October, Bay Hay hosts the Kitsap Humane Society “Adopt a Dog” events from 11 a.m. to 3 p.m. Every second Saturday, from March through June, customers can bring in their tools, scissors and knives to be sharpened by Island Edge from 10 a.m. to 2 p.m.
Composting is performed on site, where materials from the veggie gardens, nursery plant trimmings, manure and bedding and nesting materials from the chickens is all turned back into nutrient-rich soil amendments. Additionally two times a year (January and June), Bay Hay serves as a collection site for Styrofoam packaging to be recycled. Educating the public has always been important to Bay Hay. “Raising Chickens” is probably the most popular class. 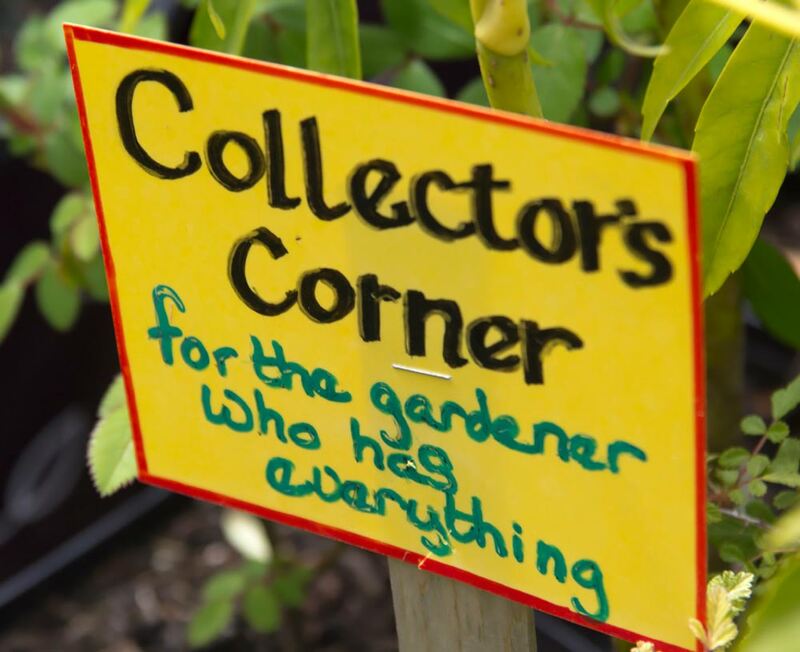 But classes on how to grow food, raise bees and build a rain garden are also in demand. 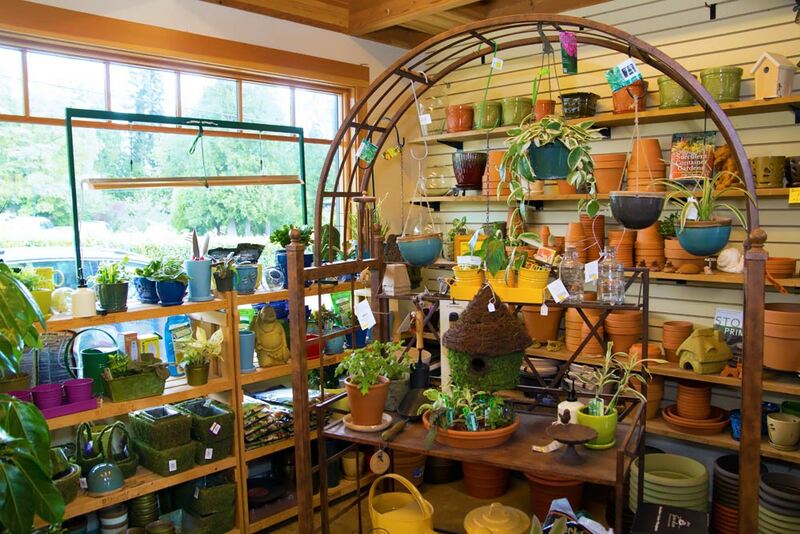 Most classes are offered from fall through early spring each year and are advertised through Bainbridge Island Metro Park and Recreation District. When you visit, allow lots of time to meander throughout the two buildings and explore the grounds. 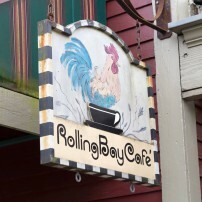 Pick up something good to snack on at the Rolling Bay Café. Picnic tables, set up nearby, are surrounded by nursery plants. Take time to linger in the sun or shade, luxuriate in the surroundings and take it all in. 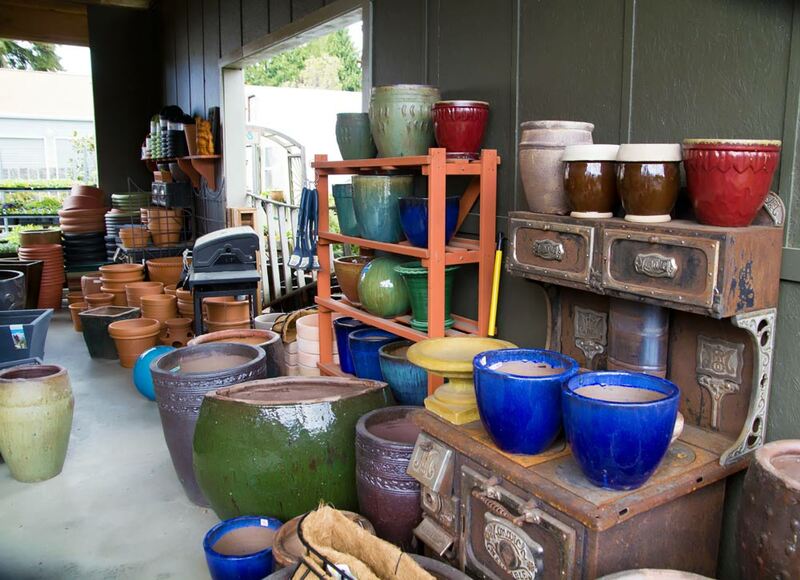 Don’t forget to purchase and take home some treasures, too, from Bay Hay and Feed. Hours: Monday — Saturday, 9 a.m. to 5:30 p.m., Sunday 10 a.m. to 4 p.m.